July 13 was my sister's birthday. I went to her house in Wheelock and we went shopping for perennials at the Lyndonville Agway. 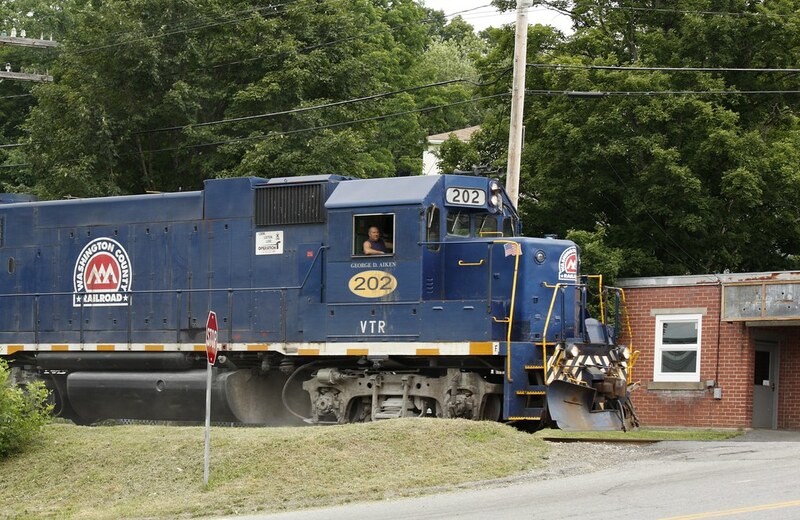 Later, I was almost all the way home when I met the train in town as it crossed Route 16. I love being here when the train comes through. At the house, we can often hear the lonely whistle blowing as it crosses the road. This was the second time this summer that I happened to be at the right spot in Barton at the right time! And both times, it was Engine 202 pulling the train.